We designed our studio from the ground up with student safety in mind. There is a lot that goes into keeping our dance students safe. The type of flooring, lighting, ventilation and ceiling height are important factors. 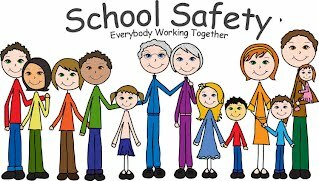 But we go above and beyond, each family will receive a key for card access, Our studio has fire alarms AND Sprinklers, our security cameras in the classroom and doorways help us keep a visual on student safety. Lastly, each and every person who may come in contract with a student is required to go through an extensive background check. If you would like a check list of things to consider when thinking about a new studio just email Info@ElegantDanceStudio.com with Check list in the subject line. Dancing for Kids: Should Your Child Be in Dance Class?Why are floors designed specifically for dance important? How can your kids benefit from taking ballroom dance lessons?